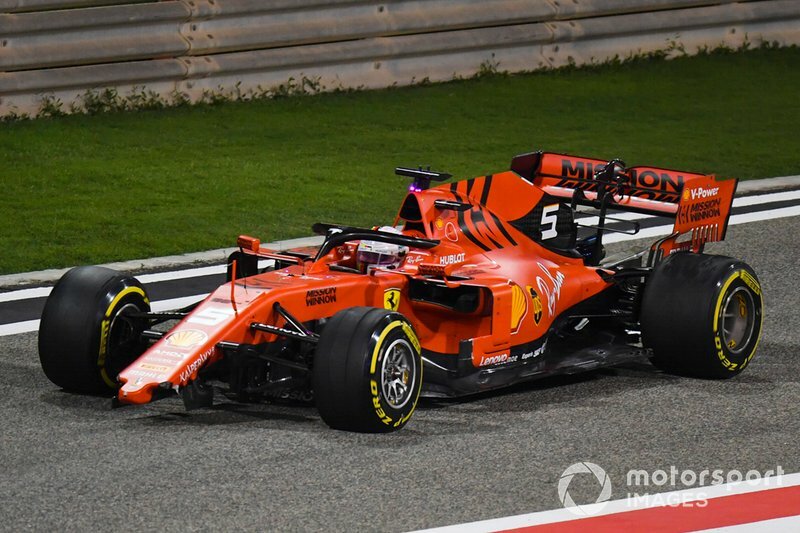 Vettel had made several costly errors as Ferrari’s 2018 Formula 1 championship challenge unravelled. 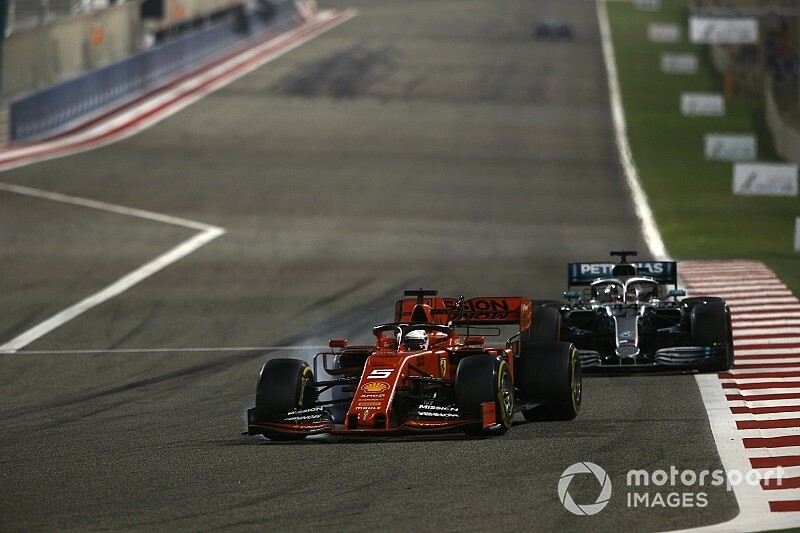 He spun again while fighting Hamilton for second in Bahrain on Sunday, losing control as he tried to cut back underneath Hamilton’s Mercedes at Turn 4, having been overtaken around the outside. 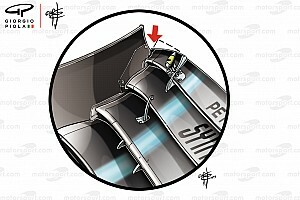 Vettel flat-spotted his tyres so badly the resulting vibrations shattered his front wing as he tried to make it back to the pits. 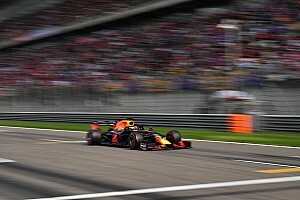 Instead of being in position to inherit victory or even second when teammate Charles Leclerc’s engine problem struck, Vettel ended up a lowly fifth. He lies fifth in the championship after two difficult races, and this latest error has led to suggestions Vettel is increasingly feeling the pressure at Ferrari. “To be honest I don’t think it has anything to do with pressure,” Vettel said. 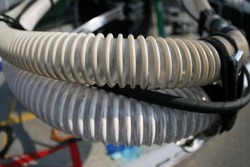 “I got surprised when I lost the rear that sudden, and once I was in the spin it was already too late. “Certainly, I had a look at it again. It was my mistake so I need to digest that. “I thought it was not too bad. During the turnaround [spin], I think the rear left tyre delaminated – Pirelli are still searching apparently where the rest of the tyre is. 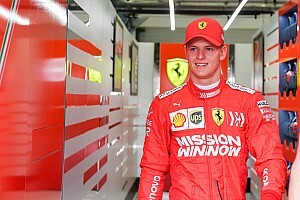 Williams rookie George Russell was trying to pass Vettel’s ailing Ferrari on the back straight when the wing shattered. Russell sympathised with Vettel’s predicament considering the extreme windy conditions prevalent in the race. “I've never experienced conditions like that before,” Russell said. “The wind was extremely high - you were having laps down the straight [on which] you were literally being blown across the straight. “It kind of shows the level of the drivers that not more people biffed it off, and I know Vettel had his moment when he spun but I can totally understand that in the circumstances because it was lap-to-lap. “I think for everybody on track it was a nightmare, because of conditions – one corner was massively understeer, one corner was massively oversteer. Ferrari team boss Mattia Binotto was quick to defend Vettel, too. Notwithstanding his error, Vettel admitted he has “plenty of homework on my side” after struggling all weekend and consistently falling short of Leclerc’s pace. 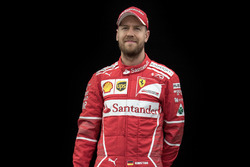 Vettel will test for Ferrari in Bahrain on Wednesday as he will hope to find the answers to his pace deficit in the grand prix.